Our Education & Outreach is one of the most important branches at our Co-op! It's the avenue in which we are most able to integrate and give back to our community. The team currently consist of our Education and Outreach Manager, Youth Programs Coordinator, Food Access Coordinator, and Sustainability Coordinator which help promote different pillars of our outreach priorities. 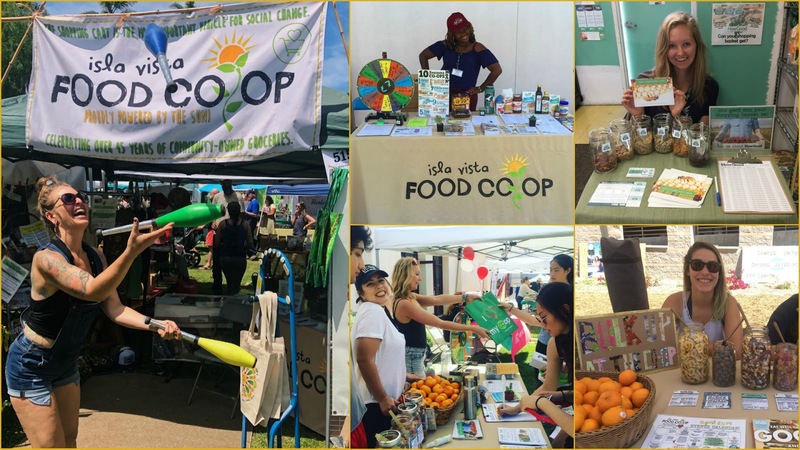 Outreach allows us to weave stories and welcome diverse populations in Isla Vista through education, food access, events, and fun along the way! We host an array of events and workshops revolving around art, expression, sustainability, budgeting, social justice, youth engagement, gardening, and food demonstrations! You may have seen us pop up on UCSB campus, been to our budgeting workshops, seen us at community food distributions, open mics, gardening or composting events, learned something new from us at community events or social justice conferences, or maybe you've just gotten a free snack through our guerrilla marketing! Regardless we hope you enjoyed whatever we were able to offer and left with a snack and coupon! We also love collaborating with any other organizations or events that align with our mission and strategic priorities, feel free to send a message to our education and outreach manager Chuy if you ever want to reserve the patio for any events, or if you want us to be a part of your vision!